While many believe Zakk Wylde was robbed by being omitted from Rolling Stone’s top 100 guitarists. Well, we here are Pedalboards of the Stars would like to do what we can to rectify that situation by adding the Zakk Wylde pedalboard to our top 100! We aren’t the only ones who see Zakk Wylde as a guitar icon; MXR and its parent company Dunlop do too. Why else would they go to great lengths to produce a signature pedal based on Zakk Wylde out of nearly every effect he uses? And what great pedals they are. So great, in fact, that he himself replaced his originals with the latest signature pedals. These pedals are perhaps the only major change to The Zakk Wylde pedalboard over the years. You see, Zakk Wylde works on an “If it ain’t broke, don’t fix it” mentality, (and that fine with us!). Below you will find possibly the most concise and complete listing of Zakk Wylde pedalboard set-ups anywhere on the ‘Net. Zakk Wylde has used the same effects over the years, only replacing one pedal with a custom signature pedal when it appears. Wah, Chorus, overdrive and “vibe” are the mainstay effects here. Looking to purchase the pedals below? Take note of these coupon codes below! Here is the earliest board we could find and, though it is past his heyday with Ozzy Osbourne, Zakk Wylde mentions that he hardly changed his set-up over the years. 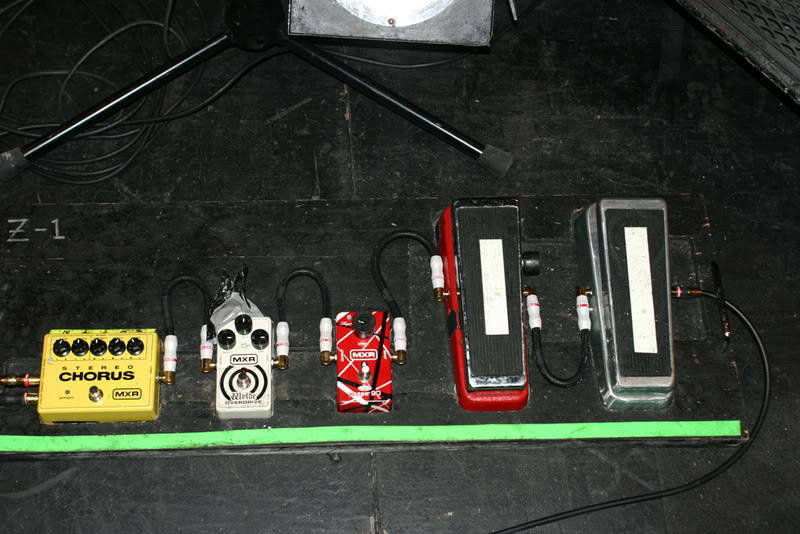 That means that the pedals listed below can be considered to be the ones used on earlier performances. 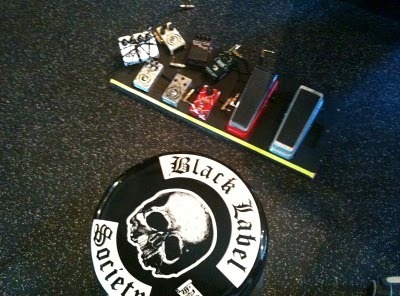 Conversely, this is the most recent Zakk Wylde pedalboard we could find. The big changes are mostly the switching from original pedals to his own signature version of the pedal. That fact that he is comfortable enough to switch to his own signature pedals shows how much faith he has in them. If you want to sound like Zakk Wylde, bought are wary of signature pedals as being just a money grab, think again, as these are truly sounds he uses. While it still has all of the mainstays, this is probably the most loaded board we’ve seen. Get these pedals, and you won’t be missing one effect that Zakk Wylde uses. 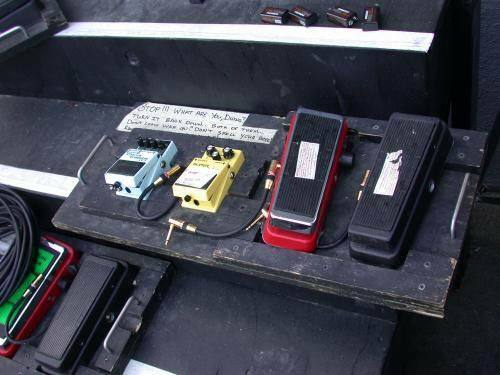 Some signature pedals haven’t been noticed on his pedalboard, though it does not mean he hasn’t used any of these signature products, just that we can’t find any photo evidence. One such is the MXR ZW38 Zakk Wylde Black Label Chorus.